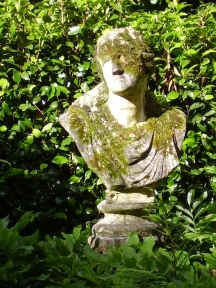 An estate with a recorded history stretching back more than 800 years. 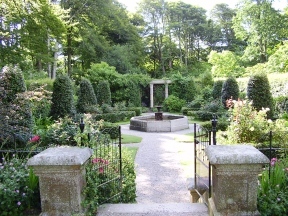 The 70 acre garden as it is seen today started in the Nineteenth Century and has been developed almost continually since then. There are wonderful magnolias, a Bluebell Valley, Rockery, Grotto, Victorian-style cutting garden, sunken Italian Garden, pretty boat-house and lake. 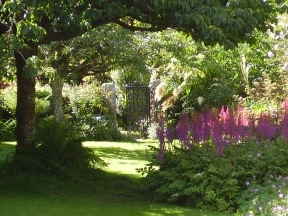 To back this up, the 'gardening experience' that is to be had at Trevarno is the National Museum of Gardening. This houses largest range of antique garden tools, implements and memorabilia in the UK. After all this interest and eduction, the Fountain Conservatory Tearoom is full of lovely tropical plants and is a great place for a cup of tea. Adult: £6.35. child £2.10. RHS members free. Dogs welcome on leads & off leads in some areas. 3miles north-west of Helston, off B3303.